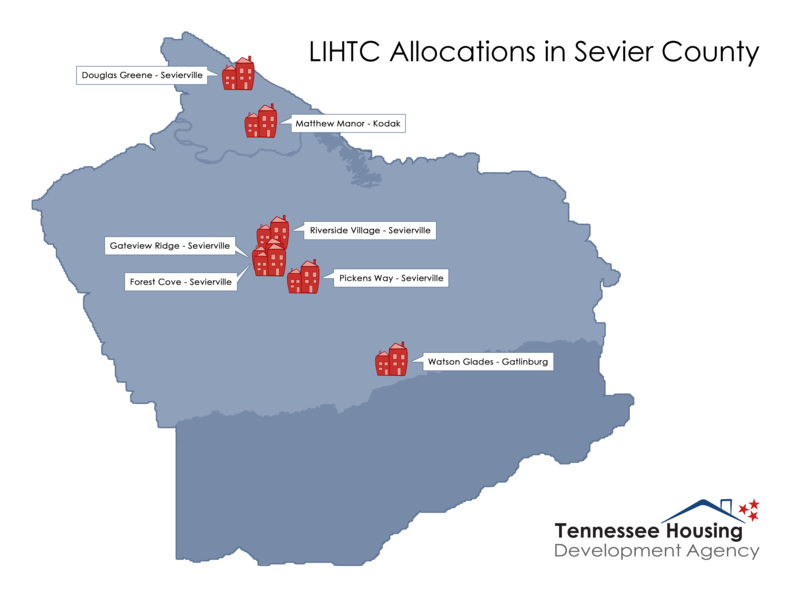 SEVIERVILLE – State and local leaders met in Sevierville on July 25 to announce over 500 new units of workforce housing that will be built with the help of Low Income Housing Tax Credits (LIHTC) from the Tennessee Housing Development Agency. THDA Executive Director Ralph M. Perrey said the state’s decision to back the projects will go a long way in helping Sevier County meet its need for more affordable rental housing. Sevier County Mayor Larry Waters welcomed the impact the new developments will have on Sevier County’s housing stock. On Tuesday, July 24, the THDA Board of Directors approved LIHTC awards totaling just over $1.5 million to help build two new apartment developments in the immediate Sevierville area. Vaughn Development was awarded $1,082,222 in annual tax credits over a 10-year period to build the 96-unit Gateview Ridge Apartments, while Waypoint Housing Insights was awarded $490,000 to construct 36 units at Riverside Village. Those awards are in addition to the board’s June decision to allocate additional credits for projects in Sevier County. The board gave $1,090,883 in annual tax credits to NonProfit Housing’s 96-unit Pickens Way Apartments in Sevierville and $1,074,000 to DPKY Development for the 96-unit Forest Cove, also in Sevierville. Credits of $832,480 were awarded to Wabuck Navigo Development to construct the 56-unit Matthew Manor in Kodak, while the Hayes Group’s Watson Glade development in Gatlinburg received $243,850 in credits to aid in its completion. THDA previously awarded $599,271 in credits to Watsons Glade in 2017, along with $1,100,000 in tax credits to the Woda Group to build Douglas Greene Apartments in Sevierville. In total, the three rounds of tax credit awards represent an investment in Sevier County over the next decade of more than $65.1 million in equity from THDA. Perrey said the new affordable units are part of THDA’s ongoing efforts to help Sevier County recover from the deadly Nov. 2016 wildfires that destroyed thousands of structures in the region. At the same time, Perrey said developments will provide much needed workforce housing for one of the fastest growing areas of the state. Construction on the five most recent LIHTC projects is expected to begin in early 2019 with an expected completion date of 2020. Projects awarded tax credits during 2017 are expected to come online in late 2019. Low income housing tax credits are a credit against federal income tax liability each year for 10 years for owners and investors in low-income rental housing. The amount of tax credits is based on reasonable costs of development, as determined by THDA, and the number of qualified low-income units. 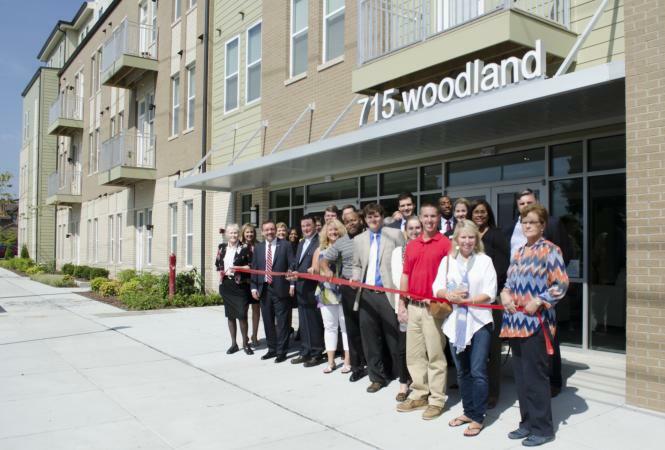 THDA partners with multi-family developers to improve affordable rental housing across the state.